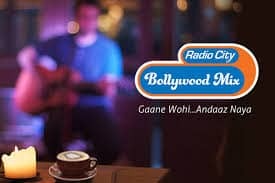 RADIO CITY BOLLYWOOD MIX Live Streaming Online . Select covers, mixes and re-creations of your favorite Hindi film songs. Listen 24 by 7 your favorite Hindi film songs .